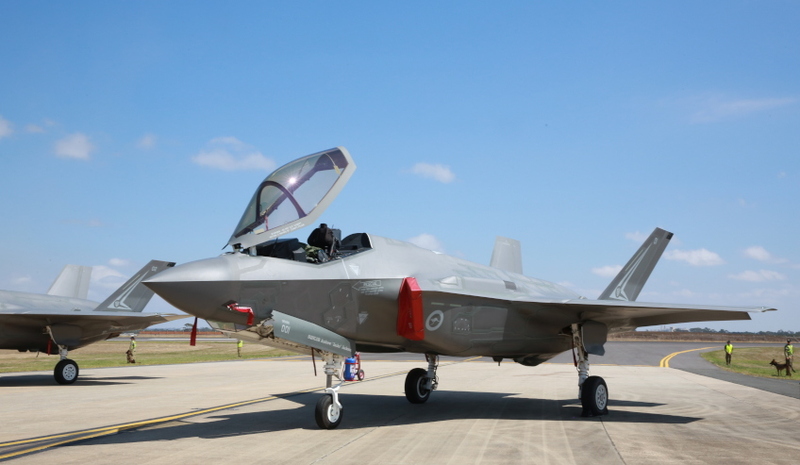 The Defence Materials Technology Centre (DMTC), the Australian Department of Defence’s JSF Division and Defence Science and Technology (DST) Group have put a call out to defence industry and research organisations to support capabilities in the F-35 aircraft. The groups are working together to identify improvement and innovation opportunities for development in the Joint Strike Fighter (JSF) program. The DMTC said the collaborative approach will assist Australian companies to contribute to a strong industry base that supports the JSF capability and provides long-term national economic benefits. Air Vice-Marshal Leigh Gordon, head of the Australian JSF program, has provided DMTC with a letter of support for this program. DMTC’s program can also assist Australian companies that have already won JSF production contracts to continue to innovate and maintain a competitive position within the global supply chain. The program will identify opportunities to develop sustainment and follow-on modification and upgrade capabilities to support the JSF platform in-service. Longer-term platform capability upgrade opportunities will also be considered based on Defence priorities. The DMTC is a not-for-profit collaborative venture that brings together Defence, industry, universities and government research agencies to develop technologies that will enhance Australia’s defence and national security capability. Stage 1 of the process involves a Quad Chart submission which must include a research theme, Technology Readiness Level (TLR), an outline, a break-down of in-kind contributions to be made by the applications, the relevance of the project to defence or national security, focused on or aligned with the JSF platform. Stage 1 of the process concludes on 7 April 2017 at 17:00 AEST. Successful down-selected proposals from Stage 1 will be contacted for more detailed proposals by 24 April 2017 for Stage 2, and successful detailed proposals will form the basis of a resourced DMTC Program with technical milestones outlined to be taken to the JSF Division for consideration. For Stage 3, the DMTC Proposal will be considered by JSF Division, detailed project agreements with resources and milestones outlined will be developed, DMTC participation discussions will be held, negotiation of contracts conducted and the new DMTC Program will be launched. More detailed information from DMTC can be found here.